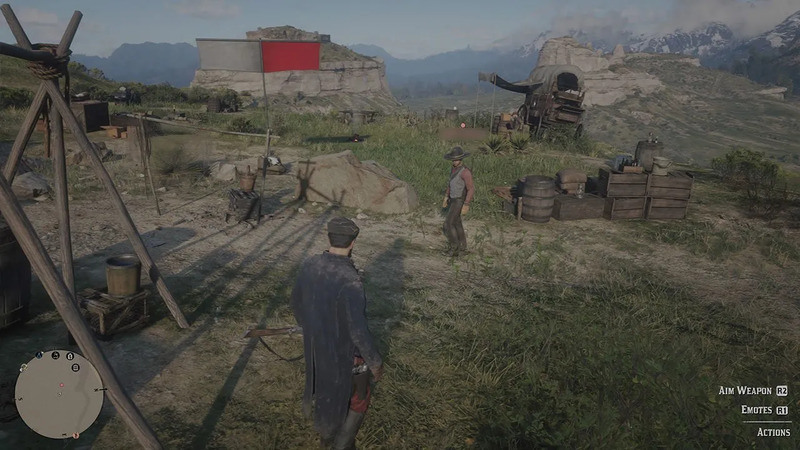 Even though Red Dead Redemption 2 has an implemented voice chat feature, there is also various emotes that you can use to communicate with other players. There isn’t a lot in the game right now, but I imagine more will be added with future updates. Emotes are a fun way to communicate with other people. You can also customize the emotes that you use, choosing to add them to favorites or unequip them all together. 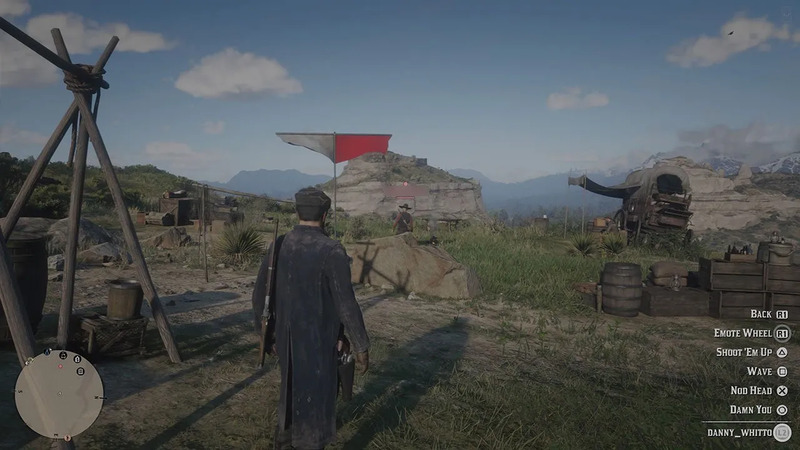 You can do this in the online options of the player menu. We’ll cover that in another post though. Below, we’re going to show you how to use emotes in Red Dead Redemption 2 Online. If you want to check out some more guides for the game, you can check our dedicated section here. To start using an emote, hold down L2/LT on your controller. You may need to be pointing towards another person. You should also make sure you don’t have a weapon equipped so you don’t accidentally shoot them. In the bottom right, you will see the Aim Weapon option, and the Emotes option. Choose emotes by pressing either R1/RB on your controller. You’ll be given a few emotes to choose from. If you hold down R1/RB, you can open up the emote wheel where you will find a few extra emotes that you can use. These can all be configured in the player menu.